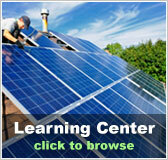 Solar Water Heating Center | Solar Panels | Solar Power | Site Map | Bookmark This Site! Solar water heating is one of the most efficient uses of solar power. Some heaters directly convert solar energy to heat the water, while others utilize a solar to electric conversion, and then an electric to heat one. 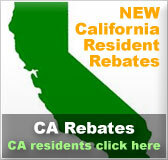 Tankless water heaters are at the cutting edge of energy savings. They heat water as it is needed so you aren't paying to keep 40 or more gallons of water hot just in case you need to use some. The roof exhaust pipes from gas home water heaters discharge smog-causing pollutants such as nitrous oxides and carbon dioxide that contribute to global warming. In comparison to traditional water heaters, solar water heaters decrease natural gas consumption by about 75%. Because they are free of fuel expenses and efficient in any climate, solar water heaters are a cost-effective measure to offset natural gas supply shortages and price increases. 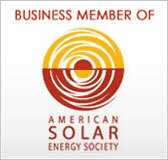 Solar water heating reduces the amount of natural gas extracted, transported and burned to heat water in your home. Solar energy diversifies power sources, adding stability to an energy structure previously reliant on fossil fuels. 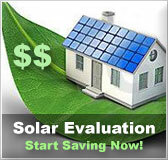 Solar domestic hot water systems are economically beneficial for homes with electric water heaters. Call one of our friendly customer service representatives today at 1-866-SUN-PRODUCTS (1-866-786-7763) to find the right solar hot water heater for your home!